Organize your audience and improve your marketing efforts with this guide. A buyer persona is a semi-fictional character representing your ideal customer based on real data and market research about your customers. prospective buyers. Understand more about your target audience to market efficiently and determine the best tone, style, and delivery strategies for your content that will convert prospective buyers into customers. With this guide, you will learn about buyer personas and, with the included template, you'll be able to develop your own buyer personas to redirect your marketing efforts. What are negative buyer personas? 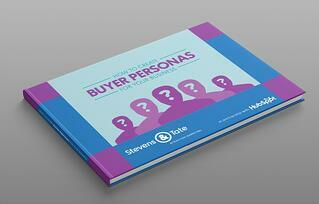 Fill out the form to your right to download the buyer personas guide and worksheet.